Key West’s precarious location has brought its share of outsiders passing through and local yokels staying put. It’s an island at the end of Florida, closer to Cuba than the rest of the state. Its visitors and old-timers alike have breathed a life of weird into the island. We were going to round up the weirdest Key West stories but some are so wildly bizarre that we wanted to delve in deep. Here’s a Key Weird story of the real corpse bride. German immigrant Karl Tanzler first laid eyes on Maria Elena Milagro de Hoyos in 1930. Tanzler was working at the U.S. Maritime Hospital in Key West. Elena’s mother brought her in to be revised for what was eventually discovered to be tuberculosis. Tanzler, in his 50s at the time, believed that Maria Elena, 21, was his true love that he had seen in his dreams. Tanzler dedicated his time and money to pay for Maria Elena’s medical expenses until she died the following year in 1931. Records show that Elena wasn’t in love with Tanzler and often told him he was old enough to be her grandfather. In what many thought was a show of great affection, Tanzler provided Elena’s body with a grandiose mausoleum in the Key West Cemetery. Her family thought it was oddly generous and appreciated the gesture. Tanzler went to the cemetery daily to visit his dearly departed. He was also the only one with they key to her mausoleum. One day in 1933, Tanzler decided to bring her corpse home with him. This is where the weird gets Weirder. Over a seven year period, Tanzler dedicated his time to preserving Maria Elena’s corpse. He stuffed her chest cavity with materials, connected her bones with wire hangers and doused her corpse with perfume and formaldehyde. He was seen around town buying women’s clothing for his new, stay-at-home wife. Over the years, rumors went around the small island and Maria Elena’s sister got wind of it. She confronted Tanzler at his home in 1940, where she saw her sister’s mummified and tampered corpse. Tanzler said he was simply working on various experiments to bring Maria Elena back to life. The media picked up the story and it drew attention from all over the country. Many thought it was a beautiful love story. Others were horrified. Eventually, Tanzler's statutes of limitations expired and he walked as a free man and started a new life in Pasco County in central Florida. 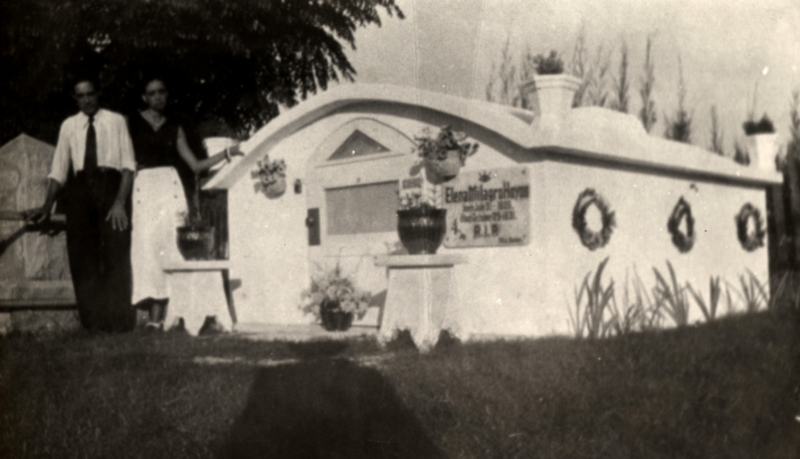 The day that Tanzler left Key West, Maria Elena’s mausoleum exploded in the cemetery. No one knew why. Pieces of her shattered tomb are now on display at the Fort East Martello Museum. We recommend a trip to the museum for more details on this bizarre story and other Key Weird artifacts. Have a suggestion for our Key Weird series? Leave us a comment.